Friend or Foe – Challenge tough bosses that require friends in co-op or play against them in 4-on- 4 battles. 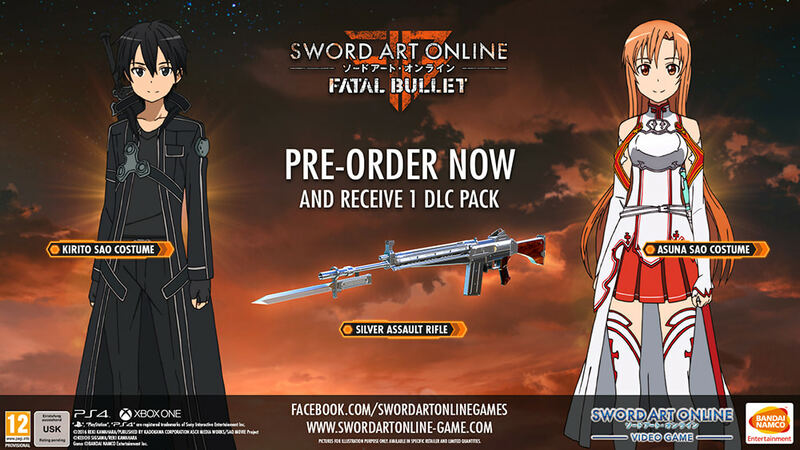 New to XBOX ONE and PC digital – Sword Art Online will come to XBOX ONE, PC Digital and PS4 simultaneously for the first time in the history of the popular gaming series. 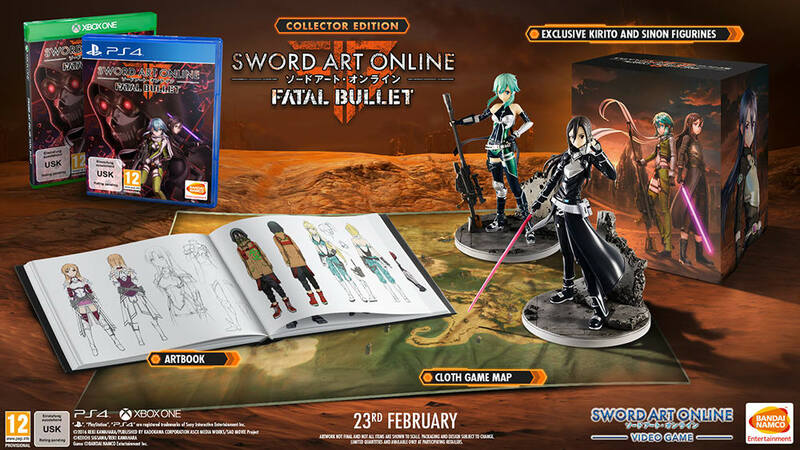 Collectors Edition: Features the full Sword Art Online: Fatal Bullet Game, Kirito and Sinon figurines dressed with exclusive costumes from the game, 1 cloth Game Map and 1 exclusive art book.